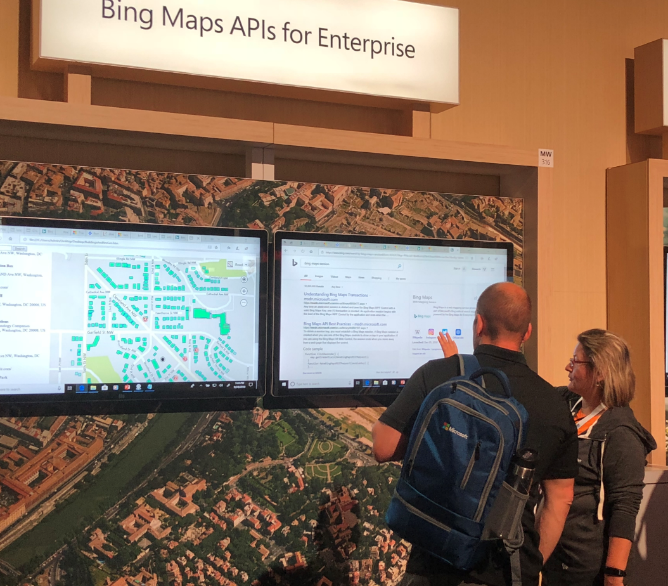 The Bing Maps booth will be in the Modern Workplace area on the Expo floor and offers a great opportunity to chat with the Bing Maps team to learn more about our mapping and location-based services. You can talk to us about any location-based scenarios you have or dig into how the flexible and feature-rich Bing Maps enterprise portfolio of services can take your fleet management, supply chain, business intelligence or custom solutions to the next level. Additionally, we’ll announce new features and APIs at the event, so come by the booth and learn first-hand how the Bing Maps APIs provide advanced business solutions that go beyond standard mapping services and help you deliver applications with location intelligence and innovative user experiences. If you are not able to attend Microsoft Build 2019, we will share news and updates on the Bing Maps blog during the conference and post recordings of the Bing Maps sessions on https://www.microsoft.com/en-us/maps.